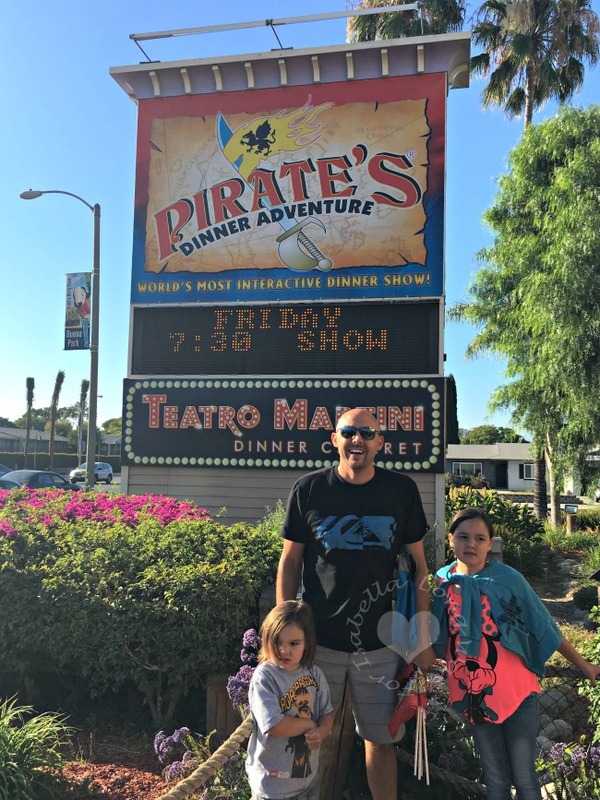 This month, on our annual family reunion trip to Southern California, we decided to take the kids to a live show. 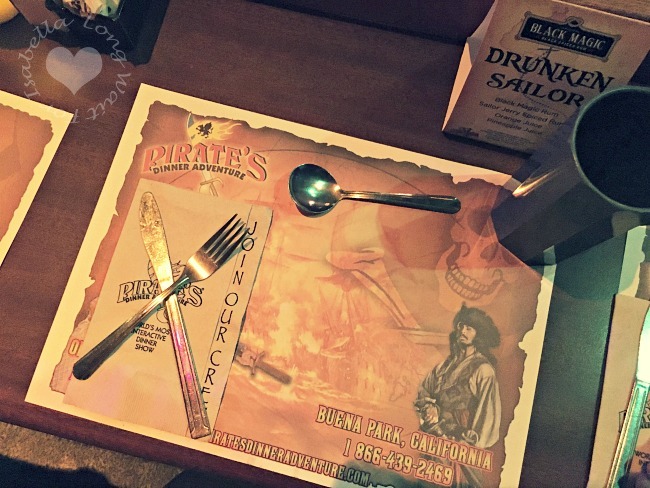 Both of my kids love pirates and we thought the Pirate’s Dinner Adventure in Buena Park would be a hit for them. We weren’t wrong. In fact, the entire family loved it. 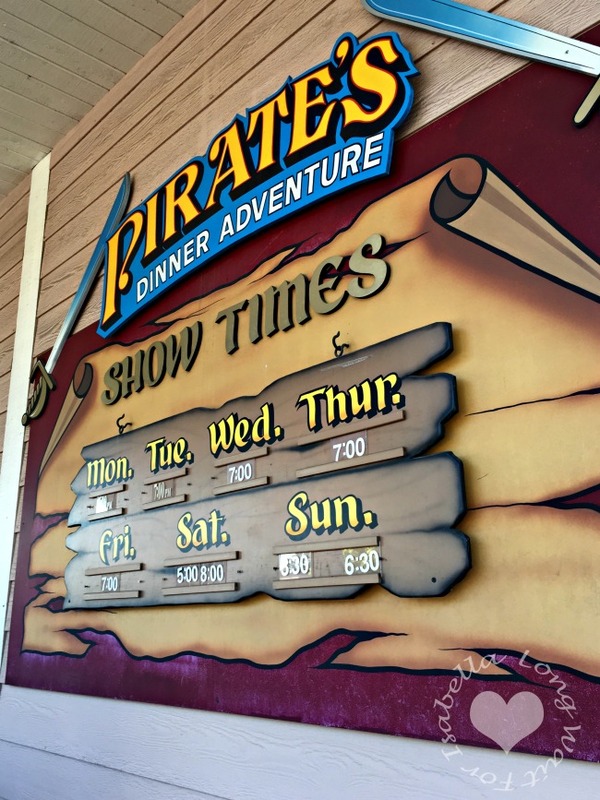 Guests will enjoy an astonishing display of special effects, aerial artistry, swashbuckling swordplay and dynamic duels while enjoying a delicious, four-course feast, fit for a Pirate King! The action is set aboard an 18th Century Spanish galleon adrift in a 250, 000- gallon lagoon. Our talented crew makes this show possible with brilliant actors, singers and stunt performers. 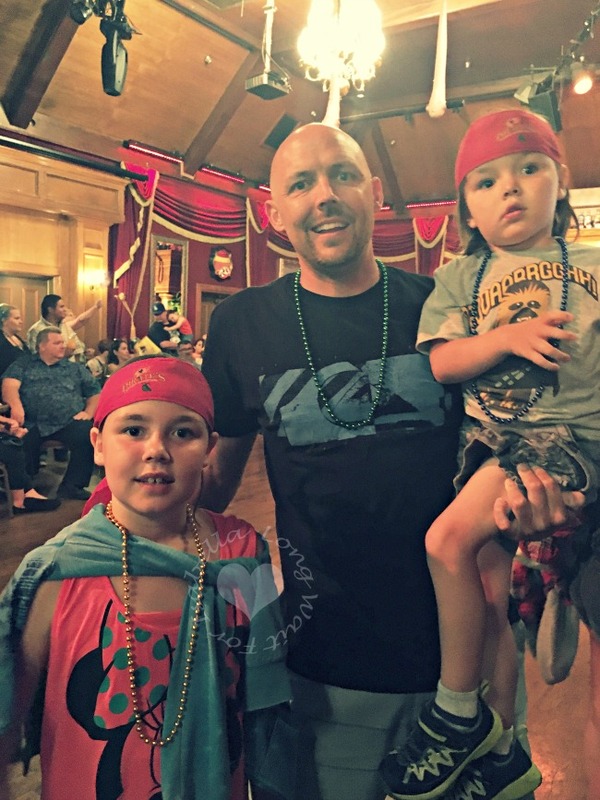 Lads, lasses and scallywags of all ages don costumes to bring the adventure to life. 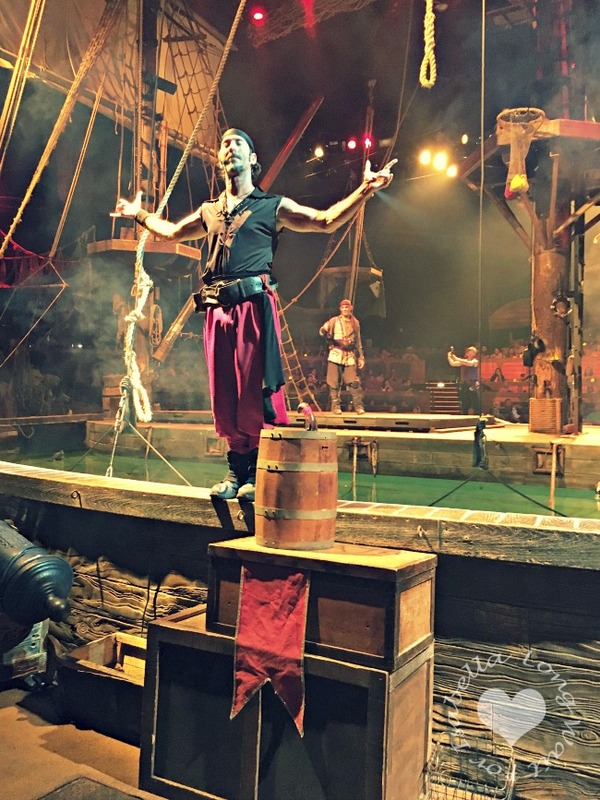 Up to 150 volunteers participate in this epic production, truly making it the “World’s Most Interactive Dinner Show!” You won’t want to miss this adventure of a lifetime, so come ready to laugh, cheer, and sing along with the show! When we arrived the pre-show had just begun. We should have arrived earlier to get a seat and enjoy appetizers. Remember, if you attend, get there early. The pre-show show was entertaining and the kids were very excited right from the start. This is the part of the show where were assigned our color (we were red) and our pirate cast member. We were also given red flags to wave throughout the show, and wave them we did! We ordered a vegetarian meal and were pleased. We missed the appetizers at the beginning of the show but did enjoy a salad, vegetarian main course (butternut squash ravioli, roasted zucchini and carrots, and mashed potatoes), and dessert. There were loud parts but our assigned pirate cast member told us when to cover Nate’s ears. We loved the color seating competition in the show. We loudly applauded our red pirate cast member the entire show. Since we were in the front row the red section, we had a great view of the whole production. My son wasn’t sure if it was real or pretend; it was done so well. It was kid-friendly and there was enough humor throughout the show that my husband and I were laughing quite a bit. Towards the end of the show they asked my husband to be one of the men volunteers to help “raise the sail”. He gladly jumped out of the seat to get his costume and instructions. That was a fun part of the show for my kids. 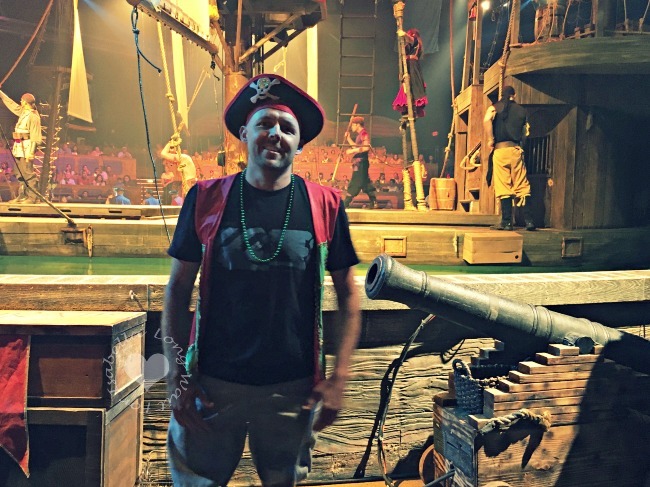 Especially when he was a pirate sailor right in front of our seats. My daughter was actually chosen as well to be a child soldier, but she was far to shy to go on-stage for that. My daughter’s favorite part of the show was the sweet love story, of course. My son loved the Sea Dragon. It was a great mix of scary and exciting for him. You can watch the YouTube clip below for the Rise of the Sea Dragon. 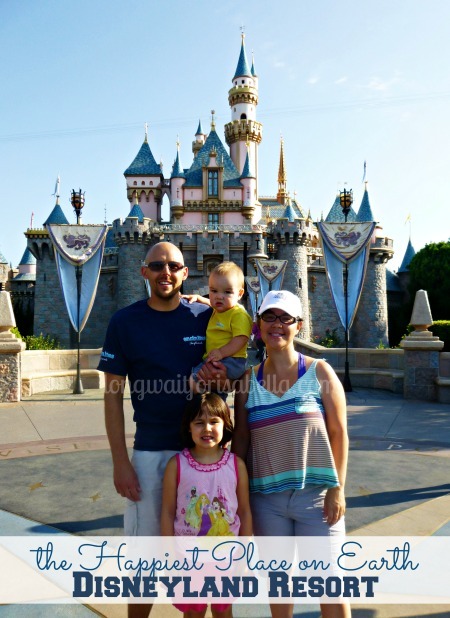 Does your family love attending live shows? This is a sponsored travel post. All opinions are mine alone.